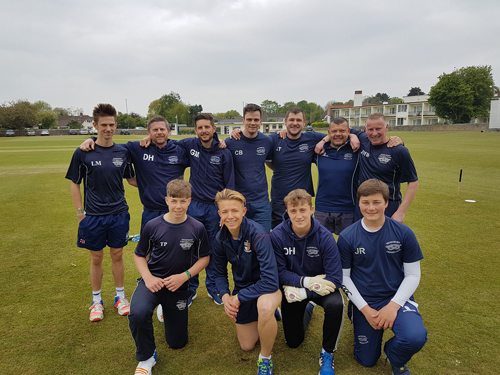 Thornbury Cricket club was celebrating a clean sweep of victories at the end of May, with all four adult teams winning. The first team moved up to fourth in the West of England Gloucester/Wiltshire Premier Division Two, with a 6-wicket victory away at the Spa ground over Gloucester City Winget. Dan Davis has started the season well with half centuries in the first few league games. The second team secured their first win of the season after some close games, the highlight being Dave Hammond’s 132 against Hatherley & Reddings.